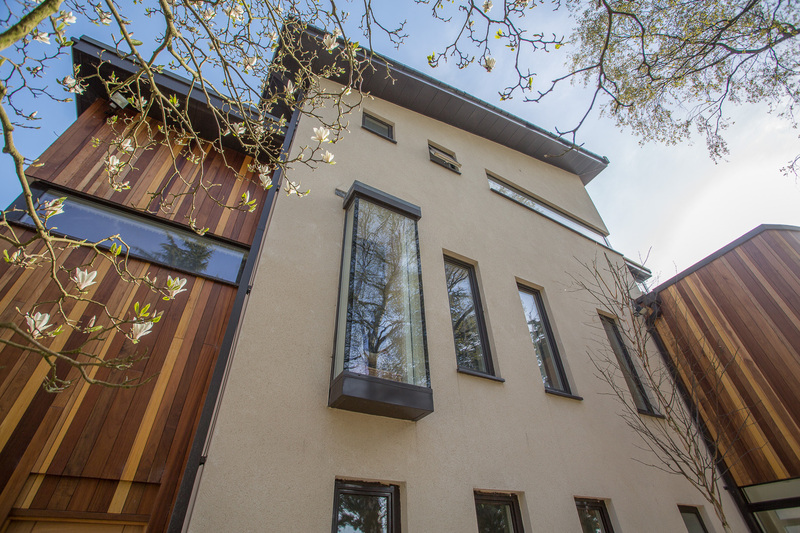 Guttercrest’s aluminium rainwater goods ensure this superb new home retains its luxury modern look while being eco-friendly. 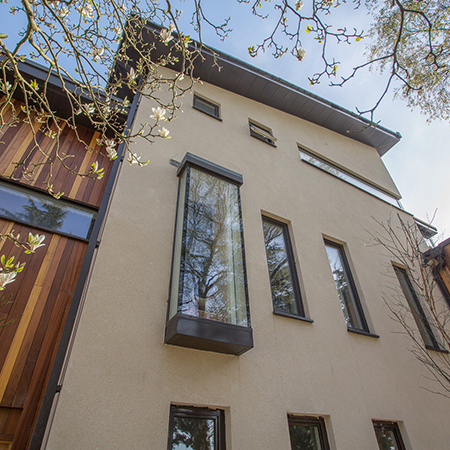 The Cardiff property named Cefn Coed (translated as ‘back of the woods’) is a contemporary design, comprising a series of mono pitched roofs and striking timber clad features. 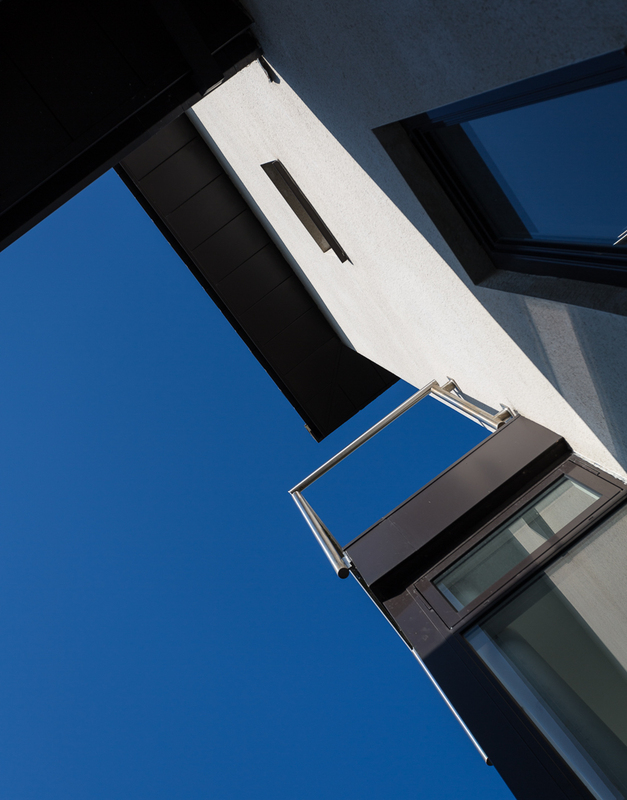 The property features aluminium fascia, soffit, gutter, downpipe and capping all finished in a polyester powder coating in anthracite grey, RAL 7016. 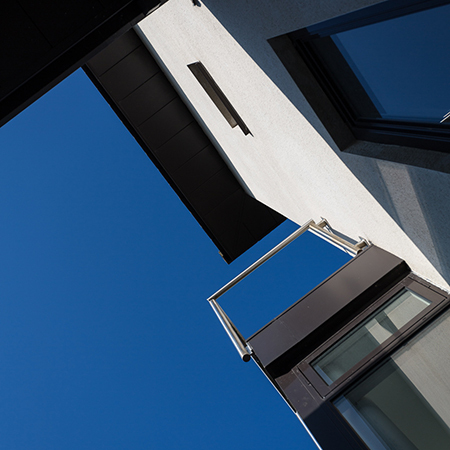 Guttercrest’s aluminium fascia formed a key piece of the modern architectural look of the property, as well as providing a practical job of completing the waterproofing to the roof coverings. 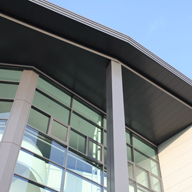 Around 170 metres of the eaves and verge fascia were fitted to the building’s roofline, manufactured in three-metre lengths and delivered directly to site. 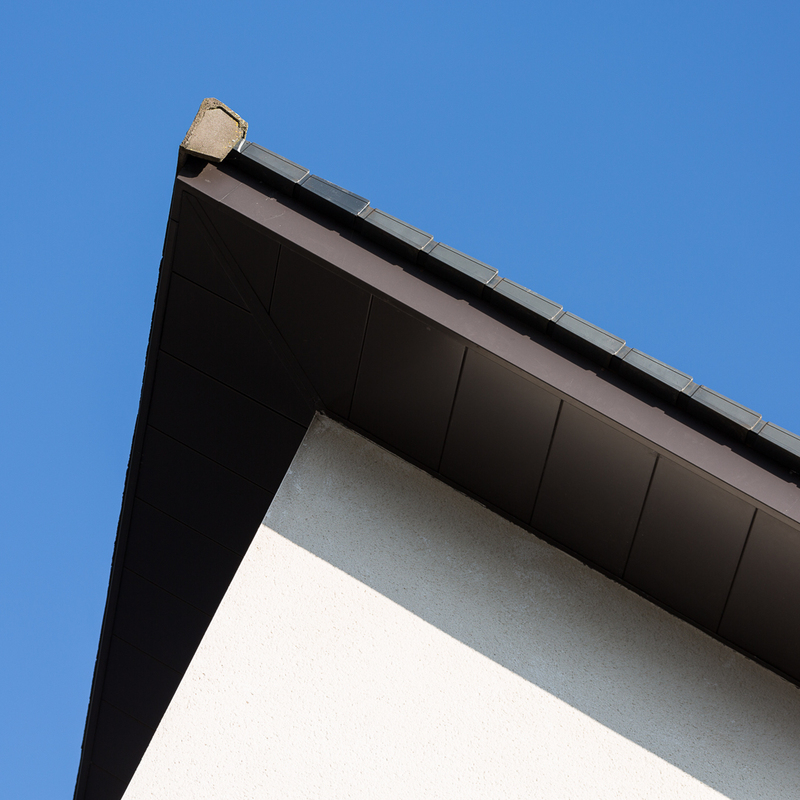 The fascia was complemented by 100 square metres of the highly adaptable aluminium soffit interlocking cassette panels, which were secret-fixed to achieve a smooth look. 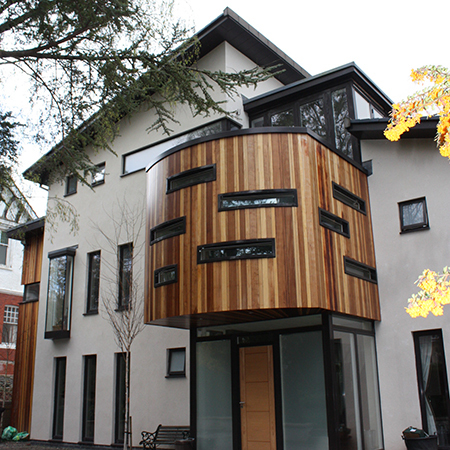 Guttercrest’s Aluminium Box Gutter and Square Downpipe also complemented the look of the property. Measuring 125 x 100mm, the rectangular profile-shaped gutter was concealed behind the Fascia. The parapet walls were then covered using aluminium capping. With a long lifespan, aluminium is strong, resilient and recyclable, making it an eco-friendly option. 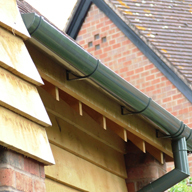 All of Guttercrest’s standard aluminium gutters comply with British Standard BS9101:2017 – steel and aluminium rainwater systems. 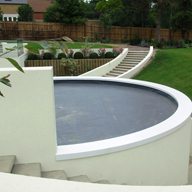 Aluminium rainwater systems can be polyester powder coated in a wide range of colours and finishes including the full range of RAL or BS colours, heritage textured finish, metallic finish and anodised effect. 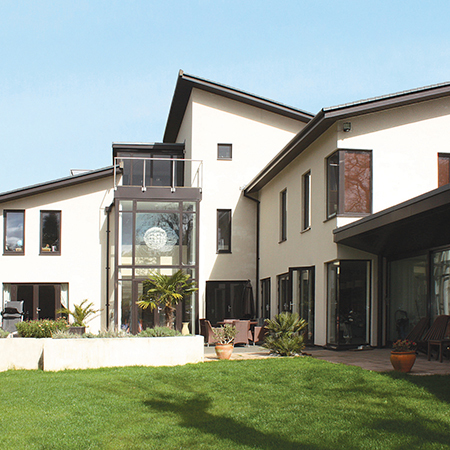 Guttercrest manufacture all of their products from their 65,000 sq ft Shropshire factories.